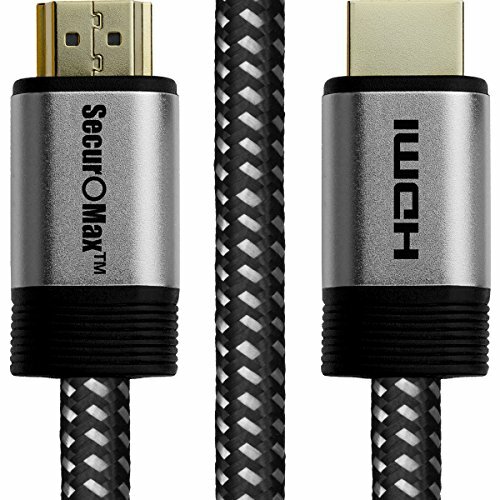 Get your hands on this heavy duty high quality HDMI cable! One of a few 12 ft cables that will drive your 4K TV/Monitor at 2160P. Never mind it’s thicker than most cables widely sold because a good cable is meant to be thick. And unlike many other cables, despite its thickness, it’s quite flexible and tangle-free (achieved by using a flexible wire type braided in cotton). Connectors of this cable are 24K gold-plated and soldering points are covered by thick aluminium shell to achieve better shielding and even lower SNR.